If you don’t read as frequently as you did in the past, it’s well worth making an effort to sit down with a good book on a daily basis. To discover why reading is so important for your health, simply continue reading to discover some of the incredible benefits of reading on a regular basis. One reason why you may want to read on a daily basis is that reading has been scientifically proven to significantly decrease your stress levels. So if your job is particularly demanding or you have a hectic lifestyle, it’s well worth putting aside 30 minutes per day to read a good book. If you’ve experienced depression in the past, it’s well worth getting into the habit of reading everyday as not only will reading decrease your stress levels but reading can also increase your mood and prevent symptoms of depression. If you’re looking for an easy way to stimulate your brain, it’s well worth reading regularly. As the simple act of reading can help brain focus and can increase your memory over time. So if you’re forever forgetting the names of acquaintances or find it a difficult task to keep focused during a lengthy day at work, it’s well worth reading in order to keep your mind sharp and focused.Remember that the more often you read, the sharper your mind will be. If you often find it difficult to fall asleep, you may want to try reading a book right before you turn off your lights, each night. As reading will help you feel relaxed, which is a key to falling asleep, within a reasonable period of time. Getting a good night’s sleep is crucial to maintaining a decent level of health as if your body needs to rest and repair it’s cells each night. If you’re looking for a simple, inexpensive way to significantly increase your lifespan, it’s well worth getting into the habit of reading on a regular basis again as according to a study which was conducted by the Harvard Medical School, reading on a regular basis, can help increase your lifespan. As by stimulating your brain, you’ll help keep your brain active and healthy, which can help decrease the onset of a variety of medical conditions, which can speed up the process of aging. Examples of which include Alzheimers and dementia! 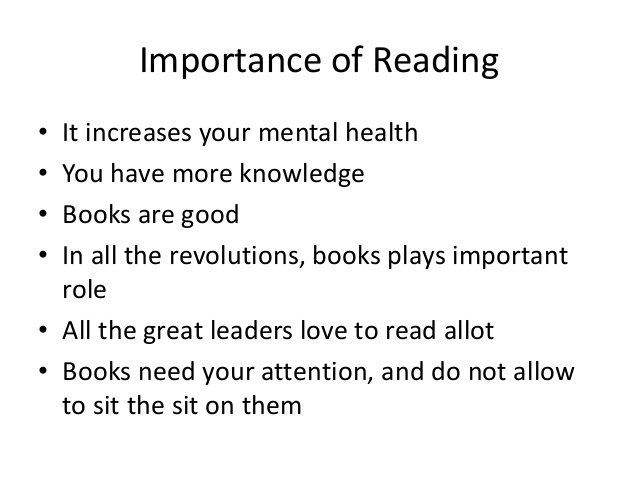 So if you don’t read as often as you did when you were a child or a teen, after reading the five health benefits of reading, which are listed above, it’s well worth picking up a new book and getting into the habit of spending at least 30 minutes per day reading. Within a few short weeks, you should start to see a marked transformation in your quality of sleep as well as in your focus and memory!